No minimum, No mess at home and a party where everyone creates their very own masterpiece to keep, child friendly paints and washes out of clothes too. Ring us /pop in and discuss with us your needs and budget, let us work with you to create the party of your choice. The studio houses more options for parties it’s not just pottery we have other crafts that can be turned into a party for you. A 50 % deposit is required upon booking. The remainder to be paid on the day. The studio will open out of hours or on our days off (Monday and Sunday ) if the party exceeds 10 or more with a minimum spend of £25 a head. If your number falls below the minimum of ten people £20pp missing from the minimum number will be charged to the group.This covers the studio and staff fees. ALL PACKAGES STIPULATE A TIME SCALE FOR A PARTY UPON BOOKING, IF THE TIME IS EXCEEDED A FEE OF £15 PER HALF HOUR WILL BE CHARGED. Making your party personal for your birthday person and their guests. Why not book an initial party. All we need to know are the party guests first name and we will order the initials in. Then have your party with us in the studio where they decorate with one of the chosen options for the whole party. £16.50 a head includes the following :-A decorated party area, personalised gift for the party person from The Activity Box,Unlimited squash for the party guests. Clay foam and Deco-patch can be taken home on the day, you will receive your painted goods back usually within a week.All items decorated are bagged and labelled individually for ease of redistribution. A party suitable from 4 year olds and up. We then pre -paint an outline of a character from the story onto the chosen pottery and personalise each item with every child’d name . When the party day arrives we read the story to your party. They then sit down with their personalised item of pottery and have some creative fun painting the character and their name. This party lasts an hour and its just enough time to occupy little people’s concentration yet allowing them to have fun and use their imagination . This party package includes a decorated party area,personalised birthday gift from us and unlimited squash . a t-shirt for their new friend to wear .Then there is an adoption certificate to colour in .The New Friends go home in a drawstring bag . A decorated party area and unlimited squash too. 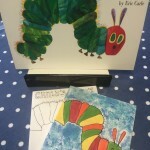 Then the children will fill with love and fluff a 8 inch Furry friend which corresponds with story.They then decorate a t-shirt for their new friend to wear and finally colour in the adoption certificate .Price includes a decorated party area and unlimited squash . Come and make me your new friend .No need to book a party you can also make me in the studio or at home as a kit, perhaps give me as gift to someone to make . 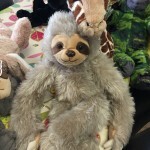 Speedy the sloth and Gerry the giraffe can't wait to be taken home and cuddled. Story time and paint .Choose your favourite short story (we read this )and then decorate the pottery with paint .Each item of pottery will have the child's name on for personalisation.Receive your pottery back usually within a week .